I have used Newman's Own Light Balsamic Vinegrette salad dressing instead of making my own dressing. You may refer to the original recipe to look up the balsamic dressing recipe as well. I have substituted green peppers with yellow peppers with a sweeter taste. 2. 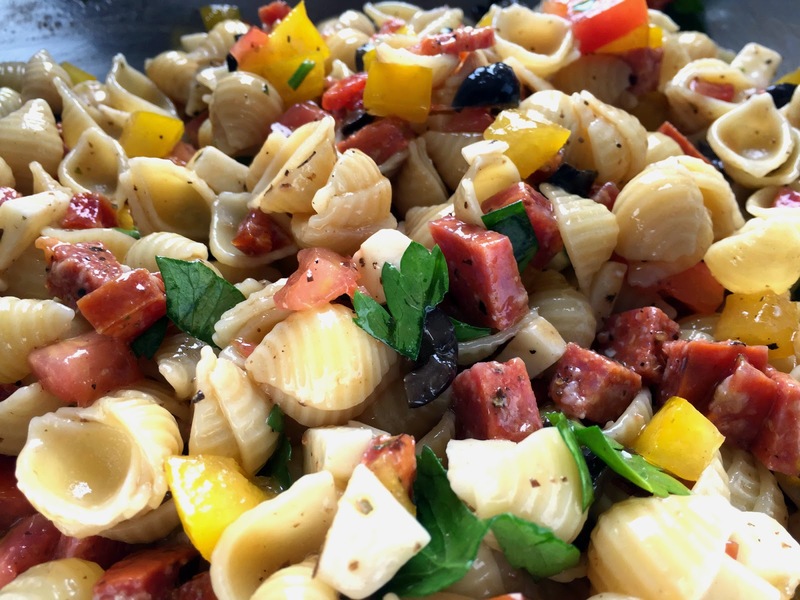 In a large bowl, combine the pasta, salami, pepperoni, Asiago cheese, black olives, bell pepper, and tomatoes. Taste with S&P and salad dressing. Cover, and refrigerate for at least one hour.